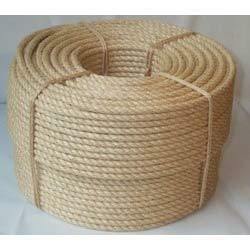 We are engaged in manufacturing and export of a huge gamut of Jute Ropes. These ropes are rugged, and mostly used to pack various products securely and efficiently. Being highly durable and qualitative, these products are widely applicable in diverse industries such as manufacturing, agro-based industries and other key sectors. We conduct series of quality tests on this entire range of products before approving for final delivery.